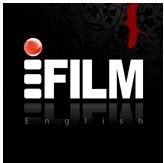 Movies TV Channel / IFilm is an Iranian entertainment network which consists of three channels in English, Arabic and Persian. The network was launched on September 9, 2010 . The original purpose of the channel is to present Iranian films and series to the global audience. The network was managed by Mohammad Reza Hatami from its inauguration until he was replaced by Mehdi Mojtahed in June 2016. In 2013, iFilm started an additional channel, broadcasting all content dubbed in English. In July 2013, iFilm and other Iranian channels were removed from several European and American satellites (amongst others those of Eutelsat and Intelsat), allegedly because of the Iran sanctions, even though an EU spokesman told the channel that these sanctions do not apply to media.